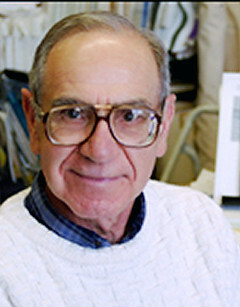 Richard T. Antoun, professor emeritus of anthropology at Binghamton University. Richard T. Antoun, 77, a professor emeritus of anthropology at Binghamton University, was murdered in his office yesterday, stabbed four times with a 6-inch kitchen knife. This atrocity recalls that, in addition to the figurative brickbats that go with the subject, Middle East studies has a lethal edge. Abdulsalam S. Al-Zahrani, a 46-year-old Saudi student working on a doctoral thesis in cultural anthropology, "Sacred Voice, Profane Sight: The Senses, Cosmology, and Epistemology in Early Arabic Culture," was charged with second-degree murder. Antoun sat on Zahrani's dissertation committee and the two knew each other. His motives are not yet surmised: the district attorney in Broome County, where the murder took place, asserted that there was "no indication of religious or ethnic motivation" in the killing. Roommates of the accused describe him as obsessed with death and of behaving "like a terrorist". The most parallel murder, of a professor by a Muslim student, was that of Ismail al Faruqi and his wife in 1986 by a black convert to Islam named Yusuf Ali. There was an attempt by Armenian nationalists to kill Stanford Shaw, then 47, of UCLA in 1977 by placing a bomb at his house. An earlier ex-president of the Middle East Studies Association was likewise murdered in his office by angry Arabs, that being Malcolm Kerr, 52, then president of the American University of Beirut who was shot and killed in 1984. Abdulsalam S. Al-Zahrani, accused of stabbing Richard T. Antoun to death. Turned around, a number of Middle East specialists have been implicated in terrorism, a subject I covered in 2003 at "Terrorist Profs" and "More Praise for 'Terrorist Profs': Mohamed Yousry." A much more recent case involves Hassan Diab of the University of Ottawa, who stands accused by French authorities of leading a commando team that bombed the Rue Copernic synagogue in Paris in 1980, killing 4 and wounded 20. Dec. 28, 2009 update: Over three weeks have passed since Antoun's murder and the media appear distinctly uninterested in Zahrani's background, personality, or motives. As a result of this lack of coverage, we cannot assess if Zahrani is or is not a jihadi. One way to hide terrorism, in other words, is to ignore an event, leaving observers like me without information to proclaim that it is. And so this horrid death goes down the memory hole. Fortunately, Zahrani is alive and apprehended, so – unless he plea bargains or pleads guilty – his trial should offer a window into his actions. Police have not discussed a motive, but al-Zahrani's roommates in Binghamton, in an interview with reporters, described him as confrontational and argumentative in the days before the stabbing. Al-Zahrani had also complained to fellow graduate students that he was losing financing for his doctoral project in anthropology. He had met with another BU professor 30 minutes before the stabbing to ask for a transfer to BU's philosophy department, Professor Joshua Price said. A Broome County judge signed off Tuesday on a postponement of the trial of former Binghamton University student Abdulsalam al-Zahrani based on reports that the defendant is not mentally competent to stand trial. According to Vincent Accardi, the defendant's attorney, al-Zahrani will remain in a state-funded psychiatric institution until doctors decide that he is fit to be tried in court. "There was an examination, today was just saying that both sides accepted the recommendation," Accardi said. "It would be up to his physicians when he would be competent to stand trial." ... Though no new trial date has been set, Accardi noted that this is only a postponement of the trial, with the idea that al-Zahrani would be able to stand trial at some point in the future. Here we go again – another jihadi claiming mental illness? Last September, the defendant's co-attorney, Frederica Miller, filed court documents that said al-Zahrani lacks criminal responsibility for his action under New York penal law because, due to mental defect, he could not appreciate the nature or consequences of the alleged crime. Miller's filing stated that two mental health experts, Steven Simring and Charles Ewing, would testify that al-Zahrani has schizoaffective disorder and was psychotic at the time of the stabbing. The plea bargain came after psychiatric experts determined al-Zahrani was schizophrenic but mentally competent to stand trial on an original charge of second-degree murder. "There was no dispute he had a significant mental illness," [Broome County District Attorney Gerald] Mollen said, but that didn't absolve him of responsibility for killing Antoun, 77, an emeritus professor of anthropology and expert on Middle East cultures. "His belief was that the Saudi secret police were conspiring to ruin his life and have him returned to Saudi Arabia to be killed or tortured," Mollen said. He described Antoun as "a gentle, kindly Binghamton University professor who had helped Mr. al-Zahrani for years." But at some point, al-Zahrani came to believe the professor was part of the conspiracy against him. In court Friday, al-Zahrani said he was provoked to the violent attack by a smile from Antoun. "He believed the professor was laughing at him and mocking him," Mollen said. "I'm not sure there was a single, pure motive. There were a lot of things going on." Mentally ill and afraid, al-Zahrani "wasn't doing well in his studies in the anthropology department," the prosecutor said. He was running out of money and facing the possibility he wouldn't be able to finish his dissertation, an academic failure Mollen said would likely have led to revocation of his student visa and return to his homeland, a deep fear. Mollen said Antoun's family was kept informed about the progress of the case and supported the plea deal. 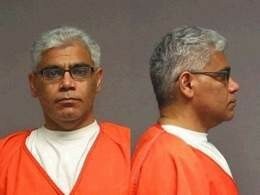 Al-Zahrani is expected to be sentenced Sept. 9 to 15 years in prison and then face deportation. "This assures he never walks in America as a free man," Mollen said. Sep. 23, 2011 update: Al-Zahrani was sentenced to a determinate term of 15 years in prison and 5 years post-release supervision. He waived his right to appeal his conviction and is expected to be deported to Saudi Arabia upon release.